I admit I have been seeing this thing called running strides for quite awhile now and thinking "maybe I should be running strides". I have been planning to add in strides at the end of runs for well over a year now. Confession: I have not been running strides. Until Kiley wrote them into the plan. I had a vague idea of what they were. Some sort of fast running in short intervals. They are described in my plan as "short burst of fast running 80-150m" to be done during warm up or cool down. Alrighty, I got it, I thought. Until I was out running and doing them. I couldn't help but wonder..
how far is 80-150 meters when converted into miles like my Garmin reads? was I running them fast enough? was I running them too fast? So I want to run them between .05 and .09 miles to get in the correct distance roughly. I was just going all out for the whole thing and then stopping into a slow jog, so clearly there was some room for improvement there. So from what I can tell about a third of the distance should be used to ease into the fast pace, one third for the fast pace and then one third of the distance to slow down. Recovery should be a slow jog or even a walk. What are the benefits of running strides? They can help loosen up tight leg muscles after a longer easy run. Done before a race or speed session they get the heart pumping and the muscles warmed up. Are you doing strides? Cola and I are. Hey, sorry I didn't give more instruction with that one. 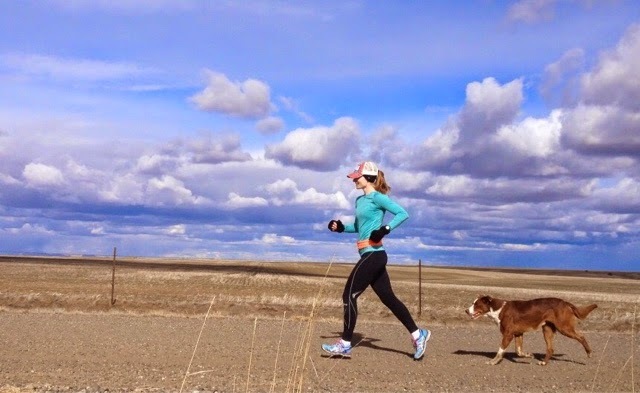 I just assumed you are a seasoned runner so you probably had an idea...but of course I assumed ;) Great post about strides though!! I must confess that I've also heard a lot about strides, but also never do them. And that I also didn't fully understand what they were until I read your post - thanks for the info! Now I know! Thank you!! 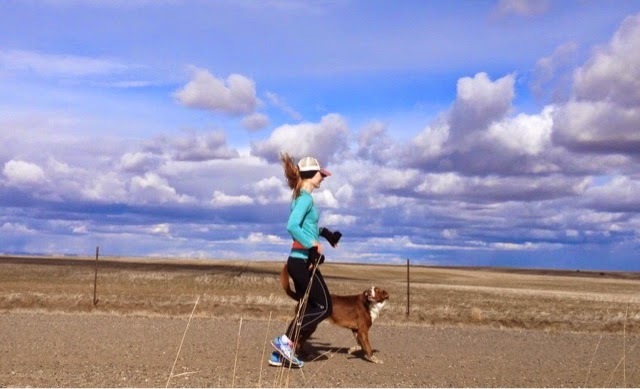 I can not wait until I can do strides again :) I love them - I just tried to break it down to time, 30 seconds bursts as hard as I can :) Old post I shared about my love of strides! Ahh yes, I have learned about strides from my coach and they are so good for you. This is a fantastic informational post! Week 1 of the plan to run a faster half marathon. Sore, Unbroken, and New Plans!